The determination that a child has a specific learning disability (SLD) and is in need of special education requires a carefully implemented multi-step process. The objective is to ensure that the child receives the instruction, support and services needed to succeed in school. Engage first in preventative and targeted instruction and intervention. 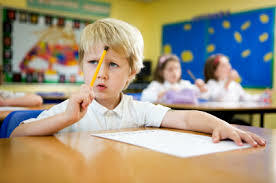 The components of an evaluation include a variety of assessment tools and strategies to gather relevant functional, developmental, and academic information about the child· An observation of the student in the learning environment should be conducted, including in the regular classroom setting. Underperformance must be determined as not primarily the result of a visual, hearing, or motor disability; intellectual disability; emotional disturbance; cultural factors; environmental or economic disadvantage; or limited English proficiency. 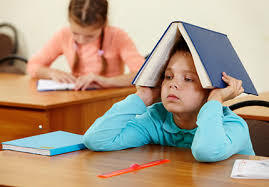 There also needs to be the determination that underperformance is not primarily the result of a lack of instruction, i.e., student performance data indicating that the student (a) was provided appropriate instruction in regular education settings delivered by qualified personnel and (b) received repeated assessments of achievement at reasonable intervals to ensure that underachievement is not due to lack of appropriate instruction. For students participating in an RTI system, parents must be notified about their child’s performance data, strategies for increasing their child’s rate of learning, and their right to request an evaluation. The RTI process must not be used to delay or deny an evaluation but should offer data, both academic and behavioral, to help problem solve and analyze issues regarding learning and help inform the development of effective instruction plans for students found to have SLD. "Using RTI for SLD Eligibility Decision Making: Doing the Right Thing for All Students"
This presentation outlines some of the basic rationale for using RTI for SLD eligibility decision making and dispels some of the myths and misunderstandings about the process. 59 slides. Presented at the ORTIi Specific Learning Disability Decision Making Training, February, 2016. This presentation outlines the four key questions needed to answer to complete a comprehensive SLD evaluation using an RTI approach. 148 slides. Presented at the Specific Learning Disability Decision Making Training, February 2016. From amazon.com: This book presents clear-cut procedures for using response to intervention (RTI) to determine a K-12 student's eligibility for special education under the designation of specific learning disabilities (SLD). Comprehensive guidelines are provided for gathering student data in the course of interventions and ruling out causes other than SLD for academic problems. Special features include case examples, tips for creating individualized education plans based on RTI data, and frequently asked questions. From amazon.com: This unique guide for special education teachers, teachers of English language learners (ELLs), and other practitioners provides the foundational information needed to determine whether the language difficulties experienced by ELLs result from the processes and stages of learning a second language or from a learning disability (LD) . The book addresses how to determine whether an ELL's struggles with reading in English are due to LD or language acquisition, characteristics of language acquisition that can mirror LD, and common misconceptions and realities about ELLs and the second language acquisition process.